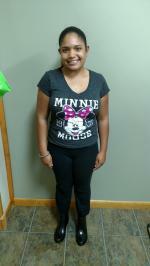 With the guidance of Kelsey I was able to suceed in losing 31 pounds in 40 days . She was always available for questions and Support. The location was very convenient and Kelsey always put me at ease . My nutrition consultant was very supportive and knowledgeable. She answered all my questions and trust me, I had many. Great program that WORKS...looking forward to the nutria most forever program. Once you get into the routine and follow the program =great results. great going down clothes size. Feel like I am 30 again. my Counselor Kelsey is excellent, very interested in how YOU are doing in the program. Her encouragement, cheerleading and advise help me achieve my goal very talented person, a great asset to the program. While the program was very hard for the first week, I loved it! I’m so happy with my weight lose result! It definitely changed my eating habits. Now hopefully I will maintain. 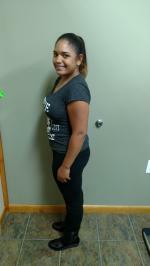 Trekita - Overcoming that first week when your body is adjusting to the program is a huge accomplishment - great job!! We hope you can take the tools learned and continue your wellness journey. Please note that NutriMost does offer maintenance services through the NutriMost Forever program. You may want to reach out to your nearest location to learn more! This is my second time doing the diet program. I gained weight after a recent surgery, and I am now back to my original, healthy range. I intend to stick with this program, and do "Nutrimost Forever", because it works so well! Every member of the staff is helpful. They all are a wealth of valuable information, and want to see you do your best. Ann - so glad to hear you were able to get back to your ideal range!! NutriMost Forever will certainly help with wellness maintenance and give you that coach support!!! Great job! I'm 20 years old and nutrimost change my life. I feel healthy, energetic and stronger than ever. Thank you nutrimost. On day 1 of this program, I honestly did NOT see myself being able to successfully follow through this program, but here I am - day 59 and I DID IT! Without a doubt THEE most valuable decision I have made for myself in a very long time and if I had a chance, I'd do it all over again. Kim and Kelsey are the absolute best! Had it not been for there constant support, I am not sure that I could have made it through. I'm grateful to have met them both and have them on the end of that cell phone at ANY time to answer any questions I had. THANK YOU LADIES SO MUCH! TRULY LIFE SAVERS! I lost 25 lbs. on the NutriMost program in Perth Amboy, NJ. I completed the program because I was uncomfortable, tired, couldn't focus, had digestive issues, and simply wanted to avoid having to go up another dress size. I wanted to be able to enjoy my grandchildren and husband. I wanted to feel better. I feel that the NutriMost program is different because you eat healthy whole foods. I highly recommend the NutriMost program because it works! I decided to do the NutriMost Program in May of 2017 after I got sick of seeing the scale increasing every day. I thought I ate a fairly healthy diet beforehand, but I worked so hard to diet and train in the gym and it seemed like I couldn't lose any weight no matter how hard I tried. I switched from a vegetarian diet to eating meat again, thinking I was taking in too many carbs. I attempted eating paleo, whole 30, eating "clean", tracking macros etc. Nothing seemed to work. Not even my hour long weightlifting sessions made any difference in the number I saw on the scale. I lost 9lbs in 12 days on the Nutrimost Program and I am very happy with my results. Not only was I excited to step on the scale each morning when I was in phase 2 of the program, but my digestion felt 100% better and I felt like I had ample amounts of energy. I had no trouble sleeping at night, and was able to get deep restful sleep. The Nutrimost program gave my body the reset it was desperately looking for. This program is unlike any other program out there because it combines the benefits of a whole body cleanse along with a ketogenic diet to give you the most bang for your buck. The body has the ability to detox and balance itself out, while also getting into ketosis to provide maximum fat burning. The foods on the approved list are easy to find and prepare, and the program is completely transparent. No hidden gimmicks etc. I lost 23 pounds on the NutriMost program! I completed the NutriMost program because once I started, it made me feel better so I had to keep going. I wanted to be able to feel better about myself and the way I looked. I wanted to feel healthy. The program is different from any other program because it was made just for me and that’s what made me feel so comfortable with it. I highly recommend the NutriMost program because not only does it make you look better, but it makes you feel better about yourself. I have always struggled with weight issues all my life. Starvation diets and diet pills have shot my metabolism over the years. To the point even if I didn’t eat anything all day and I still didn’t lose any weight. I have heard about Nutrimost on the radio and started thinking about it. The thing they said about resetting my metabolism was the most important part of the program. So I decided to give it a try. I knew my metabolism was pretty bad but I didn’t know it was this bad. Basically I was in my mid 30s and I had a metabolism of a 78 year old. That was why it was so hard for me to lose weight. Starting on the program, you begin to lose weight every day when you weigh yourself every morning. It was such a surprise. Of course you hit days when you don’t lose any weight but the program tells you what to do when that happens. They thought of everything. The program is easy. The only difficult part is that you have to cook your own food every day until you figure out it is easier to just cook multiple meals over the weekend. I am now down around 40 lbs on the 60 day program (40 days and added another 20 days). The program not just helps you lose the weight but gives you the tools to maintain or lose more on your own if you want. I couldn’t be happier. The people are really kind and friendly. Makes you feel at ease when you get in. Great place for chiropractic help too. Journey to a happier and healthier life! Finally a weight loss program that works and gives you the tools to live a healthier lifestyle. I was skeptical at first, but once I got used to the program, saw the weight come off, and felt so much better on the inside and outside then I was sold. I'm very pleased with the results. The staff was very informative and supportive and made the journey easier.